Welcome to SaraSpa Rod and Gun Club’s Marshall Baldwin Shotgun Field! “SaraSpa has a Trap and 5-Stand program and is looking to expand participation. Scheduled shoots are open to the public. All scheduled shoots take place on the Marshall Baldwin Shotgun Field. The Shotgun Field is lighted for fall, winter, and spring evening shoots. 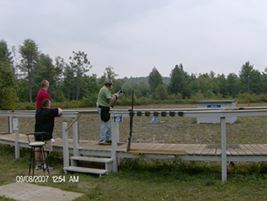 Standard Trap and “Wobble” trap shoots occur during evening shoots. 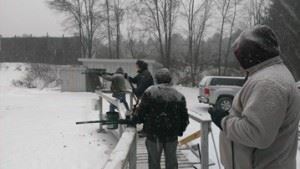 5-Stand, Trap and Wobble Trap shoots occur on Saturdays. Our 5-Stand boasts six clay target throwers featuring: high/ low trap house crossing birds, a wobble traphouse throwing downrange, a rabbit trap, a portable chandelle/ teal trap that differs weekly, and a downrange wobble trap throwing toward the stands! 5-Stand games include: single-shot targets and “doubles” (two targets thrown per turn, with the second thrown, “on-report” -requires 30 shells). If you dare, you may request any double be thrown as a “true-pair”! Contact George Dunphy, Jr. at captbrbque@gmail.com or Jeff Ferguson at jferguson@edpllp.com to be placed on the trap email list for cancellations and special event notifications. Trap is not just a fair-weather sport! $4 Cash both Members & Non-Members. $45 Pre-paid cards both Members & Non-Members: pay for 11 rounds in advance and get two free! Bring your own shotgun and ammunition: 12, 16, 20, 28 gauges and .410. 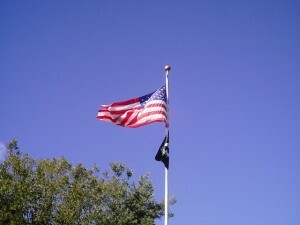 #7-1/2, #8, or #9 shot only.